In a perfect flower the shortest and simplest route to pollination would be to move pollen from the anthers to the style. Self pollination can be advantageous for a plant if it maintains a fixed set of genes that are suited to a particular environment. But adaptation to new habitats requires variation and variation is enhanced by outbreeding. So, many plants have evolved ways of ensuring outcrossing although about half of the species in temperate zones regularly self pollinate. There are three ways to encourage or require outbreeding. The most obvious is to separate the sexes in different flowers either on the same plant (monoecious like oaks and melons) or on separate plants (dioecious like willows and hollies). A second way to outbreed is through dichogamy. This separates the sexes in time rather than space. So if the anthers dehisce before the stigma is receptive flowers are protandrous If the stigma is receptive before the anthers dehisce the flower is protogynous. Finally there may be hidden reasons for outbreeding. Some flowers possessing stamens and stigmas that appear to be functional, are self-incompatible. The pollen is rejected by the stigma of the same flower and is only capable of pollinating a flower with different "incompatibility alleles". Flowers are an expensive investment in non- photosynthetic tissue. Setting up, a system to ensure sexual reproduction is an example of energy expenditure - investment and return. 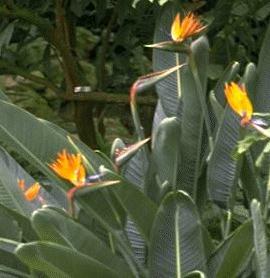 The plant needs to put in as little investment as it can while still ensuring pollination. The development of specialized pollination mechanisms. For example a flower that is meant to be approached from a particular direction by a particular pollinator may show bilateral symmetry to emphasize the approach path. These two aspects are related: as the pollination vector-plant relationship gets more specialized and defined the flower may need less to attract its vector than a flower that depends more on chance. Inferior ovaries may have been a way of concealing the ovary from casual visitors. 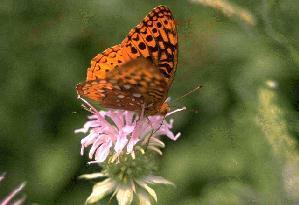 Bees, and lepidopterous insects are the most important pollination vectors. Other insects, (flies, wasps and beetles), and other animals (birds and bats) are less common. This coevolution of animals and plants is the final answer to one of the main challenges of life on the land: how can a static organism ensure sexual recombination? Many species of temperate trees and all grasses are wind pollinated. This looks like a primitive mode of pollination that occurs among the conifers. Some angiosperms have returned to this mode by loss of structures that relate to insect pollination (petals) and acquisition of features that promote wind pollination (protruberant anthers and feathery stigmas). The development of flowers and pollination mechanisms was the critical step for the angiosperms and must account for a large part of their ecological success. It removes much of the uncertainty of sexual reproduction that we saw in the lower plants and also permits more outcrossing than was possible or likely for other plant groups. Also as we saw the development of the seed was important in reducing the vulnerability of the gametophyte stage of the life cycle. A further aspect of evolution relates to mechanisms of seed dispersal. The more primitive dispersal mechanisms are accidental and the seed has no particular feaures to aid dispersal. Plants have evolved various features to encourage wind dispersal and once again animals have been enlisted as vectors, although we do not generally see the same kind of specialization that we saw among pollination mechanisms. The seed forms in an ovary which also enlarges as the seeds grow. Botanically a fertilized and fully grown ovary is a fruit - although we reserve the term for fleshy fruits in everyday language. Non-fleshy fruits or dry fruits take two basic forms: dehiscent (those that open or split) and indehiscent (not splitting). Many dry single-seeded fruits are dispersed intact and we call them seeds in everyday life; such as the samara of ash, cypsela of the dandelion, achene on a strawberry, caryopsis or grain of wheat. Multi-seeded fruits are usually dehiscent and the pattern of dehiscence defines whether it is a legume, capsule, silique, follicle, or schizocarp. Dispersal mechanisms among dry fruits and seeds may be small-size, wings, hairs for wind dispersal or hooks and barbs which catch on passing animals - we may find these structures on the seeds themselves or on the fruit if this is the unit of dispersal. Fleshy fruits are formed by the enlargement of the ovary wall or some other flower part, such as the receptacle in strawberry. These fruits represent a much greater investment of energy than the dry types, but presumably the plant is rewarded by attracting an animal which eats and disperses the seeds (with digested plant residue). 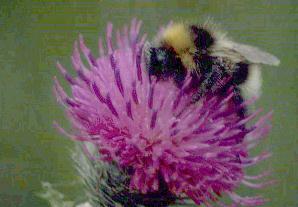 As with flower development for pollination there are energy costs associated with seed dispersal.